In the Summer of 1979, after hearing of a mock nuclear bomb test was scheduled on Otis Air Force Base on Cape Cod, Massachusetts USA, two preschool teachers entered the base. Once inside they went to the base child care center and passed out flyers to teachers and parents giving information on the effects of nuclear war on children. The teachers and parents were shocked and alarmed about the mock test but had been so busy trying to keep their own classrooms safe they were completely unaware of the test. In April 2018, a group of 25 children participated in a bootcamp in Koprivnicko-krizevacka County, a training event organised by a local airsoft team (Airsoft is a team sport where opponents shoot each other with pellets from replica weapons). The training included a mix of orientation in nature, first aid skills and something called "homeland education". Children were photographed giving salutes and holding guns. The whole event was supported by representatives of the local government who praised the educational value of such activities. 12 February is the International Day Against the Use of Child Soldiers – also known as Red Hand Day. Many organisations and schools around the world have organised events to help raise awareness about the devastating practice of child recruitment and use which continues in multiple global conflicts. Next week (12-18 November) is the International Week of Action Against the Militarisation of Youth. For the fifth time, activists from across different countries will be organising events to raise awareness on how the military and military values are promoted to young people, and how we can challenge it. 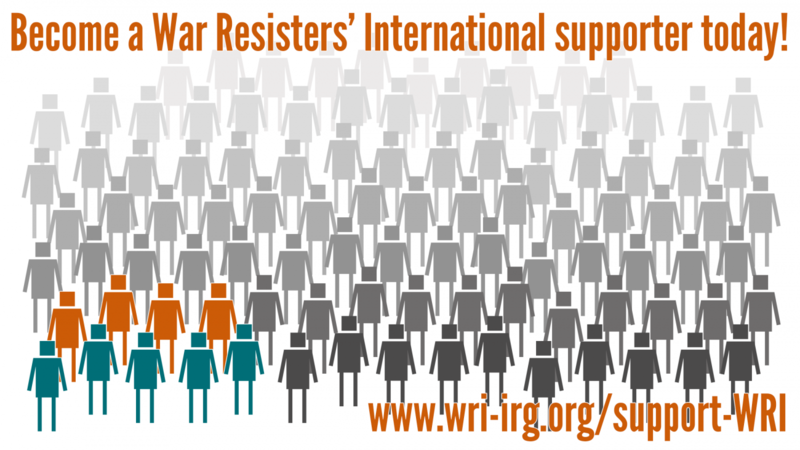 On 26-28 May, activists from Greece, Israel, Russia, Turkey, and Cyprus (both south and north) gathered in Nicosia (Cyprus) for a 3-day training, Gender and Countering Youth Militarisation, organised by War Resisters' International. During the training, participants explored gendered dimensions of youth militarisation within their societies as well as discussing how to work internationally to counter these processes. On 12-18 November this year, activists from across the world are taking action against the militarisation of young people in their countries, cities and towns. Join us this November in this global action with your own nonviolent actions and events! This month, activists from different European countries met in London as part of a WRI training on countering youth militarisation and its gendered dimensions. During the training, activists took part in various activities exploring how military values are promoted to young people, in which ways this militarisation is gendered, and how we can plan effective strategies countering these forces. Following the training, WRI also hosted a public forum on countering youth militarisation, joined by activists from the Czech Republic, Finland, Turkey and the UK. Join us in the Week of Action against Youth Militarisation, and be part of this global movement resisting the recruitment of young people's minds and bodies into violence.